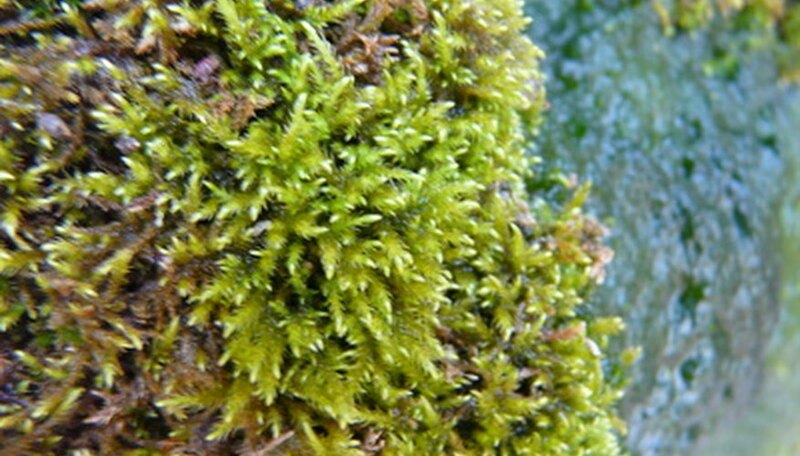 Moss and lichen are peaceful, slow growers commonly found in wooded areas or growing from rocky crevasses. These plants need low light and will grow well indoors. Terrariums provide adequate humidity for mosses, making them a truly low-maintenance plant. Moss can be tricky to find in garden center or nurseries, so the best way to create a moss terrarium is to forage for local moss or order from a terrarium specialist. Select a lidded glass container suitable for use as a moss terrarium. The size of the container will determine how much moss you need, so find your container first. Clean the container with soap and water, then set it aside to air dry. Moss grows best in lidded containers since they provide sufficient humidity. Collect moss from your garden or from a neighborhood park. Moss prefers shady locations. If you look, you should find several types of moss and lichen nearby. To collect moss, grasp a clump and pull it up with your hand. Moss and dirt easily come out of the ground. Use a small trowel if you don't want to get your hands dirty. Fill the bottom of your terrarium jar with a 1-inch layer of sand or gravel to improve the drainage. Then add 1 inch of Spanish moss to serve as a barrier between the dirt and the sand. Fill your container halfway with soil. Place the moss directly atop the soil. Check the terrarium from the outside. If you want more dirt, lift up the moss and add more dirt. Water the moss terrarium to settle the soil and hydrate the moss. Then fit the lid over the terrarium. Place the moss terrarium in a spot where it receives low indirect sunlight. Check the humidity levels periodically. Rotate the terrarium once a week so all parts receive adequate light. Mist the moss if the terrarium seems dry.